One day in art school, my professor assigned each student to make portraits using only colors cut from magazines. Until then, I disliked most collages, because the few I had seen consisted of portraits composed of a miss-matched eye from one model with a nose from another, etc. After turning in the assignment, my professor thought it was the best work I had done in the the class and encouraged me to keep making collages. By the end of the semester, I had begun using the technique in all of my classes. After leaving school, I felt it was necessary to work in a more computer-based style because mainstream comics would never hire someone who made comics of collages one panel at a time. I started working on anatomy and coloring and posting images online, but was not being myself as an artist. While I was working on “Monarch Monkey,” I discovered the Boston Comic Book Roundtable, a group of comic creators. I met some very supportive people at the Round Table. Dan Mazur, one of the founders of the group, asked me to collaborate on a story about Anthony Burns for the “Inbound 4” anthology. 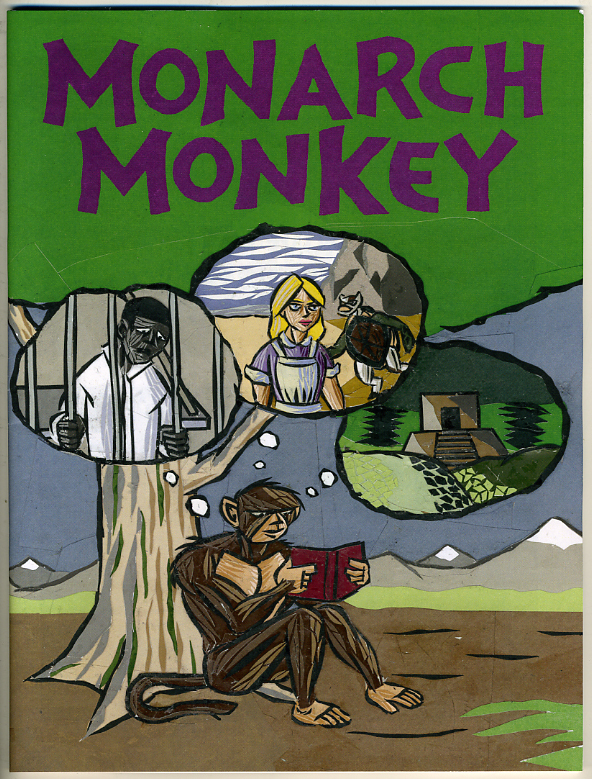 This was my first publication, and I later published “Monarch Monkey.” I worked with Dan again on the “Show and Tell” anthology. I have continued to produce pages for art shows and websites, most recently collaborating with Hyun Supul for the soon to be published “Greatest” anthology.